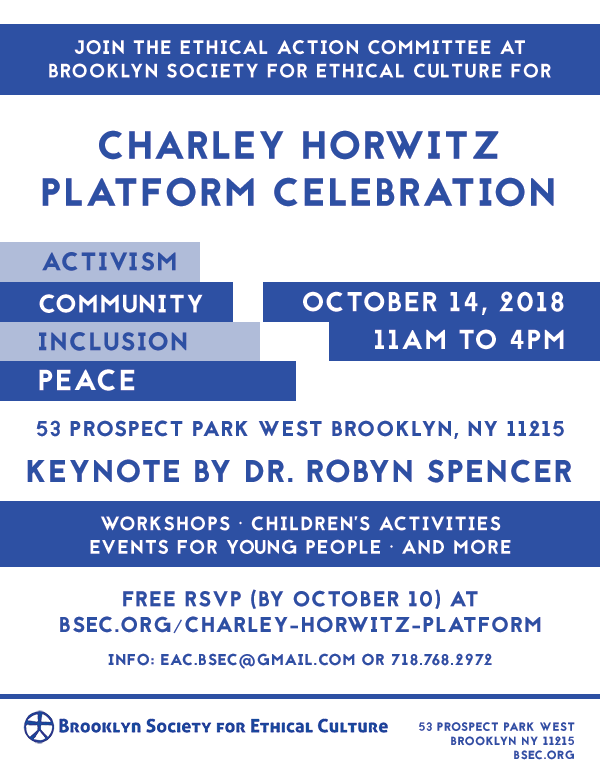 The Charley Horwitz Platform celebrates community building through peaceful resolutions, activism, and inclusion. The annual event is named for the late BSEC president Charley Horwitz. The Ethical Action Committee (EAC) at Brooklyn Society for Ethical Culture hosts the annual Charley Horwitz Platform.